The chances are that if you have high cholesterol levels, they are the result of well-known factors like genetics, diet, lack of exercise, age, and gender. But in some cases, high cholesterol levels can be caused by other diseases or widely-prescribed drugs. Known as secondary or acquired hyperlipidemia, this condition is usually the result of another disorder that changes a patient's lipid profile. But you face the same health risks of high cholesterol levels — stroke, heart attack, and cardiovascular disease. Your high cholesterol level needs to be managed regardless of its origin. In addition to the risks just noted, the link between primary and secondary causes of hyperlipidemia is especially important when high triglyceride levels occur in certain cases of acquired hyperlipidemia. In combination, these two conditions can lead to pancreatitis, an inflammation of the pancreas that is often life-threatening. What are the illnesses that can cause acquired hyperlipidemia? 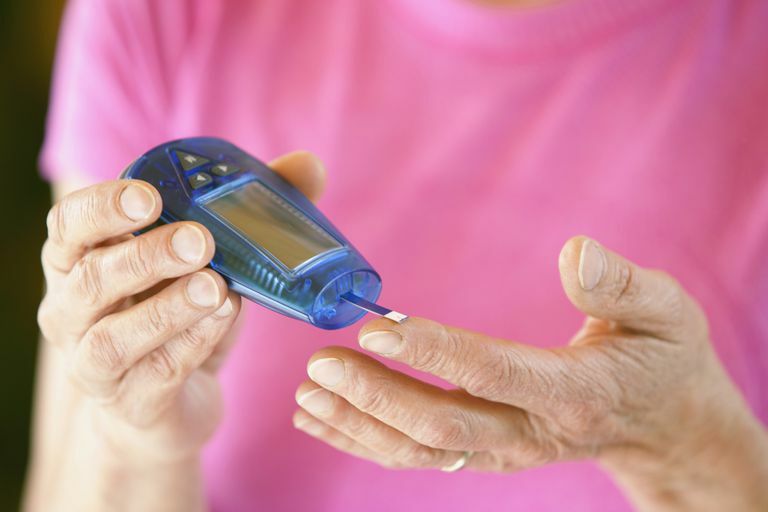 "By far the worst are diabetes and prediabetes. They're the most common lipid disorders in this country," says Maureen Mays, M.D., assistant professor of medicine and director of preventative cardiology at Oregon Health and Science University in Portland, Oregon. "It's directly related to this country's obesity," she adds. Not all "bad" cholesterol, or low-density lipoprotein (LDL), particles are the same, Mays explains. The LDL particles called small, dense LDL particles are recognized as being more likely to lead to atherosclerosis. "These people with diabetes have LDL levels look OK, but they're not," Mays says. "The pattern you always see (in acquired hyperlipidemia) is high triglycerides, low HDL, and small, dense LDL particles." The conditions just listed all affect blood levels of cholesterol and triglycerides in some way. For example, hypothyroidism, and subsequent low levels of the hormones thyroxine and triiodothyronine will typically have the effect of raising levels of total cholesterol, "bad" cholesterol (LDL), triglycerides and other lipids associated with cardiovascular disease. In other cases, the links between primary illnesses and acquired hyperlipidemia are not well understood. The association between anorexia nervosa, for example, and high cholesterol is still being investigated because persons with anorexia typically have very low cholesterol intake. Certain drugs and hormonal therapies are associated with acquired hyperlipidemia and other changes in blood lipid levels. Estrogen and corticosteroids can raise the levels of triglycerides and the "good" cholesterol, or HDL, whereas oral anabolic steroids will often lower levels of HDL. Birth control pills can raise cholesterol levels and increase the risk of atherosclerosis, depending on the type and the progestin/estrogen dosage. Beta blockers, a class of drugs that are prescribed for certain conditions, such as high blood pressure, glaucoma, and migraines, typically elevate levels of triglycerides while lowering HDL levels. Retinoids used to manage conditions like psoriasis and certain types of skin cancer, are sometimes linked to increases in LDL and triglyceride levels. Diuretics are prescribed to reduce the buildup of excess bodily fluids. The class of diuretics known as thiazide diuretics — often used to treat high blood pressure — has also been associated with increased cholesterol and triglyceride levels. There is continuing research in this area because some studies have shown that lower doses of diuretics in combination with other drugs may have a net benefit in reducing cardiovascular disease. In most cases, managing the underlying disease, or discontinuing the use of drugs that are associated with acquired hyperlipidemia, will lead to healthier cholesterol levels. In other cases, therapies specifically tailored to lower cholesterol levels may be needed. These may include lifestyle changes, such as exercise and diet, but in other cases, cholesterol-lowering drugs may be needed. Failure to treat cases of acquired hyperlipidemia can result in serious health problems. As Mays points out, "Metabolic or acquired lipid disorders are actually a higher risk for heart disease than the primary lipid disorders." Chait, A., and J.D. Brunzell "Acquired Hyperlipidemia (Secondary Dyslipoproteinemias)." Endocrinology and Metabolism Clinics of North America. 19:2(1990): 259-78. Feillet, Francois, C. Feillet-Coudray, J.M. Bard, H.J. Parra, E. Favre, B. Kabuth, J.C. Fruchart, and M. Vadailhet. "Plasma Cholesterol and Endogenous Cholesterol Synthesis During Refeeding in Anorexia Nervosa." Clinica Chimica Acta. 294:1-2(2000): 45-56. 12 Sep. 2008. "Hyperlipidemia — Acquired." RWJobgyn.org. 2001. Robert Wood Johnson Memorial Hospital. 8 Sep. 2008. Lemanski, Paul E. "Beyond Routine Cholesterol Testing: The Role of LDL Particle Size Assessment." CDPHP Medical Messenger. May 2004. Center for Preventive Medicine and Cardiovascular Health. Mays, Maureen, assistant professor of medicine and director of preventative cardiology, Oregon Health and Science University, Portland, Ore. Telephone interview. 9 Sep. 2008. Psaty, Bruce M., T. Lumley, C.D. Furberg, G. Schellenbaum, M. Pahor, M.H. Alderman, and N.S. Weiss. "Health Outcomes Associated with Various Antihypertensive Therapies Used as First-Line Agents: A Network Meta-Analysis." Journal of the American Medical Association. 289:19(2003): 2534-44. Stone, Neil J. "Secondary Causes of Hyperlipidemia." The Medical Clinics of North America. 78:1(1994): 117-41. Stone, Neil J. and Conrad B. Blum. Management of Lipids in Clinical Practice. West Islip: Professional Communications, 2006. Weinbrenner, T., M. Zuger, G.E. Jacoby, S. Herpertz, R. Liedtke, T. Sudhop, I. Gouni-Berthold, M. Axelson, and H.K. Berthold. "Lipoprotein Metabolism in Patients with Anorexia Nervosa: A Case-Control Study Investigating the Mechanisms Leading to Hypercholesterolaemia." British Journal of Nutrition. 91:6(2004): 959-69. "What Causes High Blood Cholesterol?" nhlbi.nih.gov. Sep. 2008. National Heart Lung and Blood Institute, Diseases and Conditions Index. National Institutes of Health. 16 Nov. 2014.